← Giveaway Directly from Amazon.com? Now You Can. At Amazon, you pay full retail price for the books plus standard shipping charges. You must pay up front when the contest begins. Although you will earn a royalty, it will still cost much more than a Goodreads giveaway, in general. Both Amazon and Goodreads are trusted by customers. Although Amazon actually owns Goodreads, Amazon is the more recognizable brand. Readers who have Goodreads accounts trust Goodreads, but it’s harder to drive readers who don’t use Goodreads to sign up. Also, Amazon ships the books directly to winners, and Amazon has a good customer service policy in case there are any issues (like damage during shipping or a defective book). Therefore, I give Amazon a slight advantage in the trust department. The big thing is that Amazon ships the book directly to the winner (with standard shipping) as soon as the winner is declared, which is pretty good delivery time. Also at Amazon, entrants find out immediately upon entry whether or not they win. There is no delay. With Goodreads, you can enter a giveaway today and it might not end for weeks, by which time you’ve forgotten about it. Amazon approved each of my giveaways within a couple of hours; Goodreads usually takes a day or more. Amazon giveaways run for one week or less; most of my giveaways were over in a few hours. You can run a short-term Goodreads giveaway, but it will cost you traffic. Amazon giveaways can generate good traffic in one day (but see my Promotion note below). I usually run my Goodreads giveaways for a month to generate as much traffic as I can. There is a big difference between the audience for Amazon giveaways and the audience for Goodreads giveaways. Readers enter Goodreads giveaways. They love to read books. They search for books that they are interested in. A much broader audience enters Amazon giveaways. There is a good chance that many of the people who enter Amazon giveaways aren’t specifically looking for your book. They might just be hoping to win something cool from Amazon, and your book is one of many products giving them that chance. Amazon giveaways generate a lot of traffic in a short period of time IF you tweet your giveaway using the #AmazonGiveaway hashtag. I ran a couple of giveaways where every 100th entrant would win, where I gave away 5 books. Most of my contests were over (or nearly so) within a few hours. That means 500 people saw the book in a span of a few hours. Goodreads giveaways can also generate good traffic, but it takes time. You get the most traffic on the first and last days of the giveaway, but all the days in the middle add up, too. If you run a giveaway for a whole month, you can get 1000 or so entries, depending on how wisely you select your keywords and how popular your book is. Amazon giveaways seem to be popular. For one, Amazon is huge. You can win products at Amazon, shipped to you directly from Amazon. How cool is that? There are some cool products in the Amazon giveaways. I saw one for a guitar. Great prizes put people in good moods. Also, the Amazon giveaway is new, so it has people curious. Goodreads giveaways are also popular among Goodreads members. And since the Amazon giveaway is new, people are still learning about it. Both kinds of giveaways are pretty popular right now. Customer experience in these giveaways is good in both cases. Obviously, Amazon is well-known, well-trusted, and has a great satisfaction guarantee. But Goodreads members love their giveaways, too. A nice thing about the Goodreads giveaway is that you can ship the book to the winner directly, allowing you to inspect it firsthand and pack it nicely so you know that the winner receives a great copy of your book (no defects, no damage—if you pack very well). Goodreads encourages winners to review books. Goodreads also selects winners who are more likely to be a good fit for your book or who are more likely to review books that they win. Not every Goodreads winner posts a review, however. If you give away 5 books, you might get a couple of reviews. There are no guarantees, though. Goodreads winners are more likely to post a review or rating at Goodreads. Very often, they don’t also post the review at Amazon, but it does happen once in a while. You might think that Amazon giveaway winners would be more likely to post a review at Amazon. But the audience for these giveaways isn’t restricted to just readers, and the contest isn’t targeted, so it might not work out that way. I tried this on a couple of giveaways. With every 100th entrant winning and 5 books to giveaway, I had a few hundred extra followers on Twitter in a few hours. Wow! I thought that Twitter option would discourage entries, but it didn’t seem much different from my other giveaways. You’re not “buying” followers. You’re saying, “Since you’re interest in this book, perhaps you’d be interested in following the author of this book.” And they can simply unfollow you afterward, if they wish, so really there aren’t any strings attached. Since they are willing to win your book, they must have some interest in that genre or content, right? (Well, some people just want to win something.) So many of these followers are indeed relevant to your audience. Unlike all the promises you see of people who can give you hundreds of followers, this contest can actually attract Twitter followers who have some interest in books like yours. However, since the contest isn’t targeted, they probably aren’t as relevant as, say, Goodreads winners would be. Here’s another way to look at the optional Twitter follow requirement. The people who are actually willing to follow you on Twitter are probably, on average, somewhat more interested in your book. People who enter Goodreads giveaways are unlikely to follow you on Twitter. But they are likely to add your book to their to-read lists, which helps make your book appear more popular at Goodreads. Also, having added your book, they’re more likely to bump into it again in the future. Both giveaways are convenient for customers to enter. They just need to have an account at the respective site (though presently Amazon giveaways are only open to US customers). If you’re driving traffic to your giveaway, people who don’t have a Goodreads account already need to sign up for one. They’re more likely to already have an Amazon account. Though very many readers do have Goodreads accounts. Amazon is quite convenient for the author: Set it up in a few minutes and you’re done; Amazon takes care of the rest, except for promotion. However, if you simply tweet your promotion with the #AmazonGiveaway hashtag, in my experience, that is fairly effective for the first few hours. Goodreads requires obtaining author copies and mailing them yourself (or drop-shipping). It can also be inconvenient, if something comes up in your life at about the same time as the giveaway ends. You have to promote the Amazon giveaway. However, if you have Twitter, you can tweet the link to your Amazon giveaway (you receive it in an email an hour or two, usually, after your giveaway is approved) with the hashtag #AmazonGiveaway. If successful, you can get good exposure through that hashtag for a few hours. The truth is that you can sign up for Twitter for the first time, run a giveaway with 1 winner out of 100, include the option for entrants to follow you on Twitter, and by giving away a few books, you can have a few hundred followers a few hours later (depending on how successful your giveaway goes). At Goodreads, you just need to select keywords wisely to get decent exposure for your giveaway. At Amazon, there is no way to check the book beforehand to ensure that the book isn’t defective. However, Amazon has a great customer satisfaction policy. At Goodreads, you can choose to order author copies from the publisher, inspect them firsthand, and ship them yourself. If you pack them very well, you’ll have peace of mind that the book will arrive in excellent condition. Presently, only US residents (50 states + DC) can enter Amazon giveaways. If you want to reach UK or Australian readers, Goodreads allows this. However, if you live in the US and allow international entries, shipping can get pretty expensive (and then there is the possible issue of a gift tax, depending…). Or if your book is available at The Book Depository (probably the case if you use CreateSpace’s expanded distribution), you might be able to ship your book internationally for free (though you’ll have to pay the retail price, and it may be higher than Amazon’s list price); and you won’t be able to inspect the books firsthand. I wasn’t expecting the Amazon giveaways to impact my sales rank, but I ran four different giveaways and the sales ranks improved considerably soon after the giveaway was promoted. Another possibility is that customers who didn’t win the book went to go buy a copy. Whatever the reason, you can’t expect a huge impact from this. For one, sales rank tends to quickly settle back where it had been. For another, it’s not a cost-effective thing to do if this is your main goal: You’re paying retail price plus shipping. However, if you’re running the contest for other goals and you happen to get a small boost in sales rank, think of it as a nice surprise. Giveaways can net a few sales. There could be short-term sales from people who didn’t win. What you really hope for is branding and long-term sales from recommendations. That is, you hope the winners will actually read your book, and then you hope they’ll like it enough to recommend it. It’s a risk, and it’s a hope. Successful contests help with branding and recommendations. Amazon giveaways may be more likely to generate an occasional short-term sale. Here’s why: When you enter an Amazon giveaway, you find out immediately whether or not you win. If you really want the product, but you lose, the logical thing to do is check it out, perhaps add it to your cart or even buy it now. But other people will just go enter a different contest instead; it depends on how much they really wanted that product. Goodreads members can do the same thing with Goodreads giveaways, except that often you don’t find out if you win until days or weeks later. Amazon makes the decision immediately. When I published this post, it appears that there is still another copy of my self-publishing guide available to win through an Amazon giveaway. If you haven’t entered this contest yet, here’s your chance to be a winner. Good luck! NO PURCHASE NECESSARY. Ends the earlier of DATE / TIME, or when all prizes are claimed. See Official Rules: https://amzn.to/GArules. Interesting how the rank changed. Probably because more people were visiting your pages or searching for it, which I heard can be a factor. Maybe I haven’t been paying enough attention to this, but do you think either venue will ever do giveaways for eBooks? 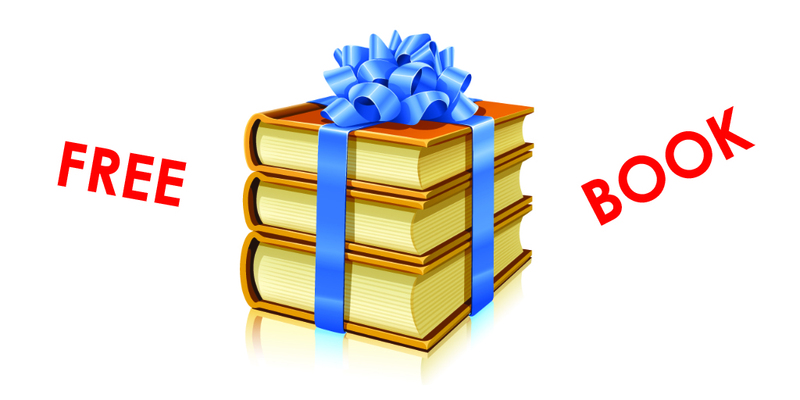 Update: Yes, now KDP authors can run giveaways for ebooks. True. I think Goodreads should allow for it though. At least give authors the option since so many are becoming predominantly eBook authors. Heck, all of the paperbacks I’ve sold over the last two years have been to me and my family. At Goodreads, the issue is probably distribution. It would be easy for Amazon to do it. But with distribution being up the author, couldn’t one have the option and simply get the winners’ email addresses? That does seem viable. Goodreads may be reluctant to have the distribution done by email. For one, they probably don’t want to give out email addresses, then there are issues with file sending (viruses). Gifting would be a good way to do it, except there are so many retailers and then there are international issues. Then many customers have Kobo, Nook, etc., and not Kindle. These are likely some of the reasons they haven’t done it yet. But the Amazon giveaways could get around this: It would just be a simple gift of the Kindle edition. Good point. I think it would be more of an Amazon or retailer think. Unless Goodreads allows you to mark off if the book is for one or all readers. Then again, you are so right about the email issue. An author and reader might not want to have the information out to total strangers. To answer your last question, isn’t that what Rafflecopter does? In a way. That requires more actions than entering a giveaway like on Goodreads. Also I don’t think it’s as well-known and requires more promotional work. I remember seeing those before I had a Twitter account and it felt like I shouldn’t even bother too. So while Rafflecopter does work with eBooks, I think it’s a different beast than the giveaways. A lot more interactive. I have to admit that the few I’ve done didn’t get much attention. Got a lot of other authors to help out and donate books for the raffle, but only a handful helped promote the thing. After two weeks of trying, I kind of gave up because I felt like the only one trying. Those are tough promos to work with. I agree. That’s why I’ve only tried them once (with similar results as you). Same here. Today was one of the days where the fun stuff simply didn’t happen because I let critical things build up. Mine has become to get through those meltdowns as quickly as possible. Too much work to avoid them. Thanks for another excellent post! I’ve refrained from giveaways so far, preferring to use my blog to distribute freebies instead. I’m bookmarking this, though, as it’s the best resource on the subject I’ve found so far! That provides a personal touch and rewards some of your fans. 🙂 Definitely, that has merit and is worth doing. The hope of external giveaways is to help attract readers and spread buzz beyond your social reach. Many authors do both. Thanks for the in-depth comparison; I’d done the Goodreads thing before, with some okay results, but it looks like I should definitely look into running an Amazon one, soon. Chris, I just set up my giveaway, but I chose to give away one book for every 2,000 entries and require Twitter follows. We’ll see how this works out. Curious why you chose 1 per 100. That seems like a much more expensive choice. You’re welcome. 🙂 Good luck with your book. Great review! Very thorough. I just hosted my own giveaway for a book using Amazon and I was completely caught off guard by how quickly it ended. I never thought I’d see as much traffic as I did so quickly. Felt a bit anti climactic having the giveaway end in less than an hour. Next time I’ll make it longer. But it did generate extra sales, so that was cool! Great post, Chris, although I’m a little delayed in getting here. Has the impact/success of these Amazon giveaways changed since you wrote the post in February? I ran a couple of Amazon giveaways this month where the 200th entry wins, and both ended in about a day using only the #AmazonGiveaway hashtag. They modified it yesterday: you now upload a picture to show on the giveaway page and enter a name to credit for running the giveaway. I’m currently running a giveaway on Goodreads. I _would have thought_ that the uptick in the number of people who put it on their “To-Read” list would have been a better indicator of the giveaway’s effect than the “people requesting” count (those who entered the giveaway). True, we can’t expect them to read most of their to-read lists in those cases. At least, those to-reads make the book appear more popular. Good luck with your books. Of the first 30 to-read folks for the book, ONLY ONE had a to-read list under 100. And I found a new record of 57,201 books on one person’s list. Crap’s sake, I’d have to be reincarnated 3 times before he or she ever got to my book. Talk about a worthless statistic. I mean, I understand the concept behind the “to-read” list, and it was probably a good idea to begin with, but some folks seem to accumulate these like others glom onto Leaf references in Ancestry (without giving the hints a critical appraisal). Thank you for sharing your experience with this, and for your research into to-read stats. 57,201 is fascinating! Okay, now I began looking at this as sort of a forensic investigation, and went on to examine the accounts of all the rest of my “to-read” persons of interest. Because this stat, plus $5, will get you a tall mocha frappuccino at Starbucks. Note: Had I programmed the to-read counter for Goodreads, I’d have set it up as a short, with + limit of 32,767. In no way would I in a thousand years have ever considered the thought that someone would exceed that limit. Seriously. 57,201 isn’t fascinating, it’s pathological. MYSTERY OF THE OUTRAGEOUS TO-READ COUNTS SOLVED! First, sorry for the duplicated partial post–don’t know what happened. HOWEVER, the entry form comes with an item pre-checked by Goodreads. [x] Also add this book to my to-read shelf. And I’ll bet a lot of folks don’t notice this or don’t uncheck it. So these huge to-read counts evidently aren’t the result of Goodreads readers trying to be funny or pretentious–it’s an artifact of the giveaway-entering mechanism. You do not have to pay retail price on Createspace if you are the author in order to send your Giveaway winner their book! You just click Order Copies from your Member Dashboard. For my 320 page book-it only costs me approx. $4.00 plus shipping cost to where the winner lives-and it is a pretty reasonable cost! My book is only $0.99 right now on Amazon for the e-book! Devilish/Dark Chick Lit! FUN! getbook.at/DV Having a Goodreads Giveaway March 6-23rd! Great post, thanks. I just did a giveaway of the Kindle version of my book on Amazon to see what would happen. I did 5 ebooks, required entrants to follow me on Amazon, and set it at 1 in 25 wins. That gave me 111 new followers. The giveaway was over within several hours (I live in Italy, so it started at an inconvenient time in the US). One great benefit to the ebook thing is that the copies you buy for your giveaway count as sales. So, I get back 70% of what I paid. You can also set the price at whatever you want prior to the giveaway (within Amazon’s limitations) to control your costs. I like the idea of followers on Amazon on the one hand, but it has limitations. For one, I don’t know how many there are, I can’t see who they are, and I can’t communicate with them directly. For that reason, I’m going to run another giveaway requiring people to follow me on Twitter to see what happens. I can engage and market to Twitter followers at will. It seems to me that the main reason to do these giveaways is to attract followers who are, theoretically, interested in the kind of book you write. If they read and review your book, that’s great, but most won’t. I’ve given away hundreds of copies on Amazon through KDP Select, and have gotten very few reviews. So, I view it as a way of creating a pool of people who will someday actually buy a book. That’s one difference between Amazon and Goodreads. So far as I know, there’s no way to require entrants in a Goodreads giveaway to follow you on Goodreads or on Twitter. I avoid these give away programs because of the cost and the possibility that the book won’t be read. I produce my books with CreateSpace, buy a quantity at the author’s price plus shipping and then go down to the mall and give them away randomly. The cost is minimal and I can pick and chose who to give them to.